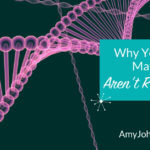 Just because you and I might take a DNA test to find genetic cousins doesn't mean that everyone else does. Many people just want the ethnicity estimate. Now, before you go putting the bad mouth on them, remember that DNA is an excellent gateway into the bigger world of genealogy. 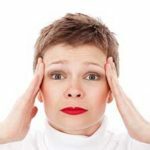 Just because someone doesn't want to connect with cousins now doesn't mean that he or she won't want to in a few weeks or months. Yes, it's frustrating when a close match doesn't reply to your messages, but try to keep in mind that they might not be interested. To say that the pie chart or map that you get of your ethnicity isn't exact would be an understatement. It's called an "estimate" for a reason. As genetic genealogist Blaine Bettinger pointed out in an interview I did with him, the ethnicity estimate is good on the continent level; getting down to the country or region is much more problematic. My ethnicity estimate on AncestryDNA. The problem is that the estimates are built around living people who can trace their lineage in a certain location for hundreds of years. AncestryDNA's ethnicity estimates are built around reference panels, which total 3,000 people. There's bound to be some variance. Bottom line: just because my AncestryDNA ethnicity estimate says that I'm 19% Scandinavian doesn't mean that I'm going to be rooting for Denmark, Norway, and Sweden 1/5 of the time during the Winter Olympics. Not only is the ethnicity estimate an estimate, we need to remember that it represents our ethnicity waaaaaaay back. Case in point is my reported 19% Scandinavian DNA. I haven't found a single ancestor who comes from Scandinavia. However, I'm also 45% Irish/Scottish/Welsh and 22% British, which is consistent with what I have found in my research. When you consider the invasions from Scandinavia into what is now Ireland and the UK, that Scandinavian DNA makes some sense. But it also cuts both ways. Ethnicity might not show up even when proven by "traditional" research methods. "I know my great-great-grandmother was Native American. Why didn't it show up on my ethnicity estimate?" If your great-great-grandma's line is the only Native American line that you have, not enough of her DNA might have made it down to you to show up in the ethnicity estimate. It doesn't mean that you're not part Native American; it just means that the part of the DNA that would have identified it didn't get passed down. That's why siblings' results can be (and usually are) different, both in ethnicity estimates and in the genetic matches. Yes, you're siblings. Yes, you got your DNA from the same parents. But exactly which pieces of DNA you each inherited is different. It's those differences that can mean your estimates are different and your matches are different. It's crucial to remember that DNA can lead to surprising results. Are you prepared if it shows that you have a half-sibling or an aunt or uncle that you didn't know about? What if your sibling's test is so different that it turns out you're only half-siblings (or not biologically related at all)? 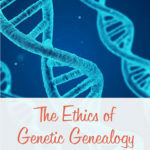 As Judy Russell pointed out, we simply must consider the ethics of genetic genealogy. We must consider informed consent before we have a relative take a test and we cannot bully people into communicating with us. 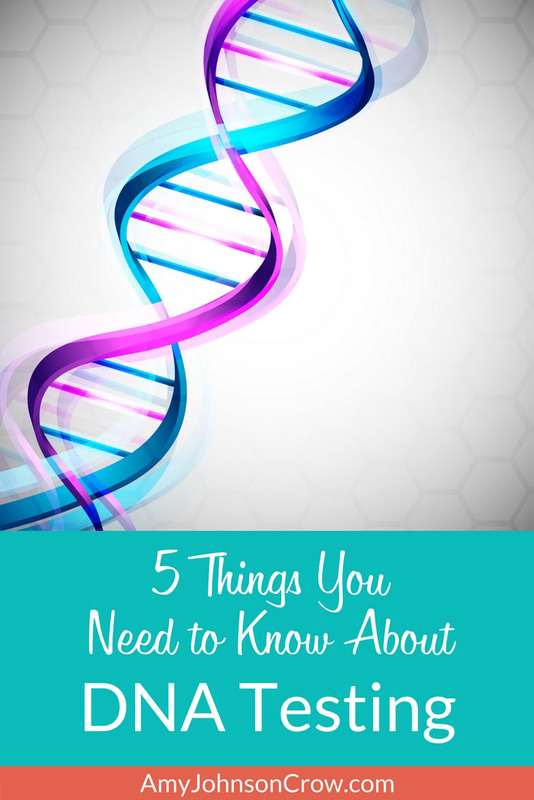 What has been your experience with DNA and genetic genealogy? Let me know in the comments below. 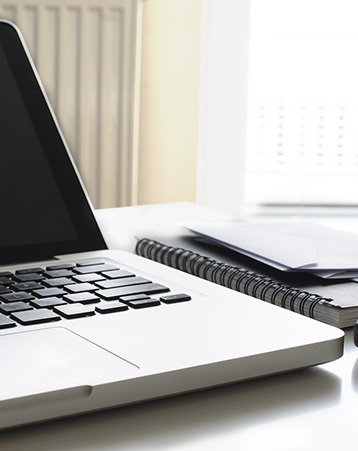 Want to save money with your genealogy? 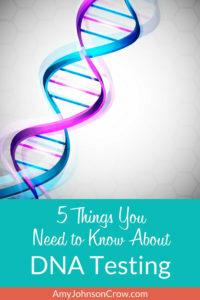 Sign up for my blog updates and get my free guide, "10 Essential Free Resources for Your Genealogy"
This entry was posted in DNA and tagged AncestryDNA, DNA, genetic genealogy, genetics by Amy Johnson Crow. Bookmark the permalink. What do you know about Ancestry.com DNA matches with half-cousins? I have 3 3rd half-cousins, and I match with them, but they do not show as shared matches. I was really hoping to find some shared matches with them to get through a brick wall, but sadly, it shows none. Even with the two who I match with both of them, but it doesn’t list them in my shared matches. I find the subject of DNA very interesting and thought your explanation of why siblings don’t have the SAME DNA quite thought provoking. I would like to have my brother tested now and see what our differences are. 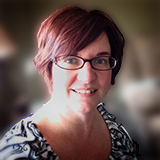 Thanks for your always informative blogs. Another reason to test sibs is to map your parents’ DNA especially if they are not living. The more sibs tested, the more complete picture you have of your parents’ DNA. Positive experience through Ancestry DNA. After the test and when building my family tree, I found an ancestor who was on the Mayflower and subsequently, I was able to join the Mayflower Society. Because of the DNA test I then joined Ancestry and found Stephen Hopkins. My connection is through Stephen Hopkins and his daughter Deborah who married Andrew Ring. Which daughter? I’m related through his daughter Deborah. I was disappointed that my 50% German showed uo as less than 30 while the Irish was 62%. Stronger genes on that side I guess. Thanks Amy, this explains a lot. I’ve been scratching my head about my Ancestry test showing 25% Scandinavian when my research shows not a single ancestor from Scandinavia in the last 6 generations (like you, mostly Ireland/UK). I’ll quit worrying about it. And I may revisit the “family rumor” of a supposedly direct-line Native American ancestor, even though my test showed 0% Native American. Great article. I have the same experience. 34% British, 21% Scandinavian and no Scandinavian relatives on paper. I assumed my long lost Scandinavian folks went to Germany, since I have so many German relatives. The ethnicity estimate goes back centuries. I’ve never heard an estimate, but it would be interesting to know the average percentage of Scandinavian DNA with people who have more than a third British DNA. 6% Scandinavian, 38% Great Britain, remainder is Irish and Western Europe, with less than 6 % Iberian Peninsula and Finland- NW Russian. 91%irish/Scottish/Wales, 9% Scandinavian. It is those dratted Viking invasions! Ancestry shows me 51% Scandinavian! Interesting because my only known were two of my great grandparents both born in Sweden. I show 34% Great Britain and 4% Ireland/Scotland/Wales. The most interesting of all is my 1% Melanesia! I have read what Ancestry says about this area and it’s people, but I still don’t have a clue where this would fit into my tree. I do realize that 1% is not very reliable. Fascinating though that of the three sons I had tested one showed this !% too….! I too wondered about my Melanesian until I read a book “Antigua California” & learned that 3 of the Baja Missions had their own ships and that the sailors of those ships were indigenous from that part of the world who had been converted by the Spanish & had adopted Spanish names. And contrary to being “half Spanish”, I’m actually 25% indigenous from Central America, Mexico & Baja…and only 6% Iberian. I am British live in the States. I have 42% British how’s that for a Brit!! I also have 22% Irish (I know this line) plus 20% Scandinavian. If you have British in you probably going to be par for the course. I am from Co. Durham & Yorkshire (going back many generations). At one point there was Dane Law in this part of the UK. The UK was a polyglot of peoples just a couple of centuries ago. With the surname Nelson, I wasn’t surprised to see Norway but it’s coming from a long, LONG time ago. My results did not show my 9th great grandmother and her parents who were Huron from Quebec. Catherine Annennontak is well documented and I have no doubt I am related. I uploaded the raw data from AncestryDNA (you can search the site for the way to download it) to a site called GEDMatch.com and there she was, granted it is only 0.17% but she’s there! GEDMatch has much more detailed analyses and many different ways to interpret my results. The rest of my results were a bit misleading as I’m all French-Canadian with the exception of my Huron grandmother, however my results showed 22% Irish, 20% Iberian Peninsula, 19% Great Britain, 15% Scandinavia, etc. After looking further into why these percentages were showing up, I realized that my French ancestors came from the northern and very western parts of France. The regions that Ancestry shows and explains in their articles include these parts of France. Don’t forget that Britain was invaded by Romans (which included mercenaries from Celtic tribes in Germania, and mercenaries from areas around the Mediterranean), then Anglo-Saxons (the word England is a contraction of “Angle Land”), then Vikings who were primarily from western Norway and Denmark. Vikings founded many coastal towns in Ireland, areas in Scotland (especially the northern islands), and invaded several areas of England. The Rus (Vikings) gave their name to Russia as a result of trade between the Baltic and down to Constantinople via the rivers of Europe; the Varangian Guard was made up of Vikings. Another group of Vikings settled Normandy, France. Vikings held an island in the Mediterranean for a while, and most likely left their genetic remnants in several areas in the Mediterranean as well as the British Isles and the Baltic and on the shores of European rivers. DNA testing in Iceland (settled some 1200 years ago) has Viking yDNA (apparently mostly from western Norway) and mtDNA mostly from Irish Celtic women. In the Faroe Islands the yDNA is mostly western Norway and mtDNA from areas in Scotland and northern British Isles. For most of us genealogy records run out around +/-1600. If we’re lucky, maybe back to the mid-late 1500s, and if we’re really lucky, further back than that (which would likely mean someone famous). To discover why some of these oddities one doesn’t know about show up in our DNA, we have to study history and migration patterns of people and tribes of people going back at least two thousand years. I just took a DNA test a month ago and don’t have the results back yet, but on paper I have ancestors from seven countries. I have both maternal and paternal New England ancestors back to the Mayflower, and other English ancestors from specific locations in England (where ancient history has Celts, Romans, Anglo-Saxons, and Viking invasions and settlements). My mtDNA will go back to an island in Denmark, but I don’t know where before that. While I have the dark hair and eyes of my father, his mother and her mother who had roots in Alsace, I don’t know where before that; but if he were alive, my father’s yDNA would go to a specific location in Sweden, but I don’t know where before that. Part of my maternal lineage should go back to Norway north of Trondheim, and another branch from Bergen who married a Danish matros from Copenhagen. In American records i also have Dutch and Irish ancestry, but I don’t know if that will show up or not. I’ll have to hunt around the males for yDNA and the selection is limited because only two of three brothers had children; the rest of my father’s siblings were females. Based on actual documents for ancestors from seven different countries (and locations within those countries), I know where DNA testing should place them, but because of my looks (and being an avid student of history for half a century so I know migration patterns of some groups) I have questions about the possibility of other DNA and whether or not it will show up. I am not missing any living relatives that I know of, so I’m not interested in modern relatives…, but I am bursting with curiosity about how far back my DNA sample will go and locations that might show up. You also forget that UK was Celtic too. The only strong visible parts left today are Wales & N. Ireland. The Gaelic is spoken in ales,Ireland & Scotland. We lived in northern Spain and were surprised to learn the Celtics were the first ones to settle there. They still dress and play the bagpipes to celebrate their origins. If your ancestry is Ireland/UK, then Scandinavian DNA doesn’t necessarily mean you have to have an ancestor from Scandinavia in the close genealogical past — the history of the UK (Viking invasions, the Danelaw, etc.) is such that Scandinavian genes are simply a natural part of the UK gene pool that you could have gotten from British ancestors. To my great surprise my DNA showed 37% English, scotland and irish, then again 9% scottish then 47% French. The rest being small estimates. Does it mean i have a close anglo-saxon relative such as a grand parent? It is particularly interesting as we know my mum’mum was not her biological mother. Not necessarily. It just means that according to the current algorithm that the testing company is using, your DNA has that combination. Great post. I already knew about siblings having different results. I would love to better understand how it pertains to children though. Case in point, my daughter and grand daughter showed European Jewish in their results. However, neither my husband or myself show any. However, we have ancestry from known Jewish migration patterns. I would love to see you address this. This is my current research passion. Any info would be appreciated! What were the percentages given for your daughter’s and granddaughter’s Eurepean Jewish estimate? If we’re talking 1%-5% they could have easily came back as 0% (and vice versa for you and your husband)… I believe it has to do with the way that the estimates are calculated using reference groups. The ethnicity estimates are done by comparing the test-takers results against a DNA “reference group” (as Amy pointed out in her blog post). The testing faciliity will compare the test-taker’s DNA against the reference group x-number of times and then take the average to arrive at the estimate. It’s possible that the individuals in the reference group utilized for your ethnicity result estimate were not the same as those used in your daughter’s or granddaughter’s estimates (even though each individual is “supposed” to be representative of said region). Perhaps Amy will chime in and provide more clarification. Is it possible that you and your husband individually do not have enough European Jewish DNA to pass the minimum threshold for reporting but your child, who inherited EJ DNA from *both* of you, has just enough to pass? I gave DNA kits as gifts to each of my 3 adult children but my son is very uncomfortable completing it because he is afraid it could get into the hands of “the wrong people” in the future and used against us (ie., planted at the scene of a crime). That raises the question, how secure is our DNA when we send it in for analysis? What facts or details might I give him so he might reconsider? Despite clickbait headlines to the contrary, Ancestry doesn’t just hand over your DNA to anyone who asks. They will provide data if there is a valid court order. Per Ancestry’s Guide for Law Enforcement, “Contents of communications and any data relating to the health or DNA of an Ancestry user will be released only pursuant to a valid search warrant from a government agency with proper jurisdiction.” (You can read their full statement here.) Ancestry also has statements about how they handle DNA samples and the related data. I encourage you to read that page here. In addition, acqusition of test results via a third-party would not hold up in a court of law. If a prosecution team required DNA, they would do it in a context that would not allow the results to be debated (easily). Bottom line, if the law wants your DNA they will get it… but, not from a third party. Thank you for the information, Mike. My son is concerned someone who handles his DNA at the lab or after he has sent it in will use it to cover a crime they perhaps committed. Since these labs have millions of samples the chances of his being “stolen” seems paranoid to me. Thank you. I will read the Ancestry statement again and share all this info with my son. I really appreciate your reply. Becky, Please explain to your son that that ship has already sailed. As I explained to my own son, he needn’t worry about a bad actor getting hold of “his” dna via one of the testing sites. Even without submitting a test kit, the site already has a major sampling of his dna via the thousands upon thousands of cousins who have already submitted theirs long before he did. And I suspect that very soon, parents will begin teaching their children from an early age that they must never commit a crime because the gov’t has their dna. We did confirm some of our family gossip which was fine. I was able to see which people I originate from. But overall, the DNA results were anti-climatic. I thought there would be more of something from it. Now I just worry about where my results are in cyber space. Kathleen, if you tested with Ancestry, you might want to read their page about how they handle the DNA samples and the data. I have a question for myself, as well, as for a friend. Many of my cousins insist we have Native American, yet, none show up in our aunts and uncles. Which could have clearly filtered out. Both our grandmother and great grandmother’s families lived on the reservations in South Dakota,and Indian Territory. Plus, a possible direct ancestor with the name Blackfox from Tennessee. Still trying to prove that one. My grandmother passed down how to make fry bread and the story we have Native American in our blood. I personally, think it was a “tongue in cheek” story considering they lived on the reservation growing up. Also, there are no direct NA ancestors listed during their time on the reservation. As for my friend, who is from Mexico and wanted to do the test to see what Native American tribe she is from. I advised her she may not be able to know which tribe per se from the DNA test. But filling in her family tree to reference the areas may help figure it out that way too. Is it true that Native American Indians in the United States refuse to let their DNA be tested? Which is one of the reasons why it is difficult to determine the tribe. And if not then why can they not determine the tribes? And does this apply to Mexico too? I would love to be able to explain this to my cousins and friend. I could see this question being replied as a maybe this and maybe that answer because of the factors. But any help is appreciated. Thanks so much and I enjoy reading and learning from your post. Well, I was disappointed because my brother and I did DNA through FamiltTree and it seems everyone else in our family tested through Ancestry. Sooooo, no matches to speak of. I wish I had been better informed about DNA and the different test sites. I use the ethnicity estimates for entertainment value only and not for validation of my research. The DNA that is shared between ‘cousins did that for the most part. I was able to breakdown 2 brick walls within my family tree. One was for my unknown paternal grandfather and the other was my mom’s paternal grandfather. Once that was done, 100’s a DNA matches fell into place and my research was validated back to the late 1700’s. I have 39 DNA Circles on Ancestry that I can support with documentation. As for ‘surprises.’ my dad had two half brothers we knew nothing about and their children were less than welcoming with this discovery. They don’t define who I are and I don’t press the issue with them. I can understand their reaction, must have been a bit of a shock to them. Give them time to process & they may feel differently. Sounds like you are handling it well. 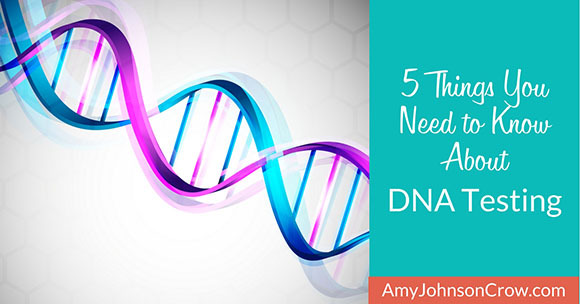 These are some of the consequences that can happen from our DNA testing. We have to be “prepared” for these surprizes. Lynda J. Hylander I like you lost my father and believed DNA testing for him was lost. One brother was adopted and one biological but both had also passed long before DNA testing was available. However, both my Mother & I tested and when I uploaded to Gedmatch they extracted my Dad’s DNA profile. You can imagine how excited I was! If your Mom is still living you may want to try this. I have a similar issue in that my father and both my brothers are gone. My mom and I have both tested as has my daughter and my son. Can you elaborate how Gedmatch extracted a profile for your father? I am very interested. I’ve been trying to break down a brick wall on my father’s side for years and your experience just may help solve it or at the least get me closer. Alice, this is invaluable news to me as I am also in the same situation with my father and his siblings being gone. My mother is still living and would like to be tested so I really appreciate your information! I have been researching my dad’s paternal side because I know the least about them. Hopefully I can use this method to learn more. Thank you so much for sharing this tip!!! Keep in mind that Ancestry’s ethnic predictions are notoriously inaccurate. Roberta Estes says the fact that parentage and grand parentage are being questioned based on ethnic estimates alone is alarming. They should be viewed with a giant grain of salt. It is a very new science and should NOT be taken seriously. Look at your matches. Look at close cousins’ in common withs. Upload to FamilyTree DNA ($19) and GEDmatch and MyHeritage (both free). Look for Swedish cousins. Try to match them up with your tree. Your existing family tree and DNA matches should go hand-in-hand. I have pushed aside brick walls and connected with not so distant cousins and found a surprise or two. Wonderful resource if you take time to use it. Thank you for your helpful postings. My family have all had our DNA done on both Family Tree and Ancestry. I am the one that was the driving force, others just had a passing interest. My interest in DNA does NOT go beyond using DNA as a way to connect to information my ancestors. Example, I have seen a book available on one of the sites, and it looks to be ¾” thick, NOT interested! While I am a very senior Engineer, I don’t look to study DNA. Also, I did upload the FT DNA files to Geni, and while I haven’t subscribed, it looks to be helpful. Ps. I appreciate you mentioning, a while back, German connection James Beidler, though I haven’t used him. I agree with your 5 points. I also think that it is extremely important that people use DNA as one part of their research and not forget the importance of the paper trail, documents and other research sources. Five relatives — me, two brothers and 2 cousins — have all had DNA reports done hoping to find the origins of our third great grandfather. One brother had a Y-DNA test. None of us have a match with anyone prior to this ancestor, using various spellings of the surname. There are many relatives discovered through DNA, but all are after this brick wall. I have hypothesized that perhaps our GGG-grandfather changed his name. In your opinion, is this more likely than actually finding a DNA match? I’ve also chased paper documentation for years, but nothing has come of it. Question: is the third-great-grandfather part of your direct paternal line? (In other words, should he have the same surname as your brother?) If so, and if your brother doesn’t have any surname matches on his Y-DNA test, then I would wonder if there is a non-paternal event with that third-great-grandfather (in other words, his biological father is not someone with his surname). If this is a third-great-grandfather on another line (in other words, he doesn’t share your brother’s surname), then the matching on the Y-DNA wouldn’t matter, since it’s a different line. You should be looking at an autosomal test, like AncestryDNA for example. my DNA shows irish scottish ancestry. my research shows french. ancestors were from LaRochelle, Normandy. also my ancestry does not show migration from Quebec to western Canada. my research shows my native american blood began in Sault st. Marie Ontario and family moving west to Red River region. it makes me wonder how accurate DNA is. DNA is accurate for matching people; not so much when it comes to ethnicity. That being said, there are a couple of things that can explain the discrepancy between your research and your ethnicity estimate. Remember, the ethnicity estimate goes back centuries. Normandy is just across the English Channel from England. I can imagine that there is quite a bit of variation in the DNA along those coasts. But when a so call family member lies to get you DNA and puts it on Ancestry.com I do not trust if my DNA is right or if it is her. I never will trust ancestry.com yes they know she lied to get my DNA. Nobody in a family should lie to get anybody’s DNA. So I have took another DNA from another company I see if my comes close to what Ancestry.com has. Leo – Normandy was named for, and settled by, Northmen…, aka Vikings. Anti-climatic applies to my results as well. I continue to check my shared ancestor hints regularly but so far no new finds or sources. I showed Iberian peninsula but have no one from there. I do have Welsh and someone said that could be the Iberian part since some Portuguese migrated to Wales. Does that seem correct? Some centuries back, Spain invaded Ireland. I would guess since Wales is very close to Ireland, some ships took port there for one reason or another. I am not familiar with Portuguese migrations, but even with just normal trade back in the day, there had to be some contacts. It will be news to the Irish that Spain invaded them. Perhaps you are thinking of the wrecked ships of th Spanish Armada in 1588? Originally I was just interested in ethnicity but after taking the test through FamilyTree DNA and learning more about matching I have been in contact with a few cousins. Now I have uploaded to MyHeritage and also getting a test done through Ancestry. Meeting cousins has been most rewarding. Some people I have contacted have not replied yet but I leave it at that and continue contacting others. I have met others through my posted tree and that is great too. Meeting living cousins is as rewarding as walking through a cemetery looking for an ancestor. I found my brother. He is my full sibling and I’ve known about him since I was 12. We recently met and it was wonderful! Thank you Amy. An interesting and informative article, comments and answers. My self, husband and son have each tested. My son and I with Ancestry and my husband with My Heritage (because of his inability to spit). Matches are confirming much of the paper research….except my husband’s. His father’s side is very English, yet showing as 0% in his ethnicity estimate. And his only matches are from his mother’s side. Very puzzling. And a question if I may. My parents have both passed, but I do have some ringlets of hair from my father’s first haircut about 1912. Would they be worth testing? And do you know who would do it? I don’t know of any testing company that does hair analysis (yet). That is puzzling that your husband has no matches on his father’s side, though I suppose it’s possible that nobody on that side has tested. Seems like a longshot though. I did my DNA through Ancestry and was totally unsurprised by my results. I was 87% Irish, 7 the rest of British Isles, 4 Western Europe and 2 Scandinavian. My brother did his with MyHeritage and it came back 100% Irish. I like the Ancestry DNA process better b/c of the ethnicity regions it gives and more precise matches. They seem more precise to me. I knew siblings have different DNA but never thought about having different matches. I am an Irish speaker and I sing in Irish so my brother is lording it over me that he is 100% Irish and I am only 87%. Different companies have different reference panels, so the ethnicity estimates are going to vary. It would be interesting to transfer your AncestryDNA results to MyHeritage and then compare your results. I remember reading somewhere, perhaps one of the Geer (People of the) books, that there are one or two native american tribes that aren’t native american at all. I wonder if DNA testing has proven or disproven this. My family claimed to have native american/indian ancestry. DNA testing showed west Asian. Imagine the look on my face when I realized it show the country of India. Actually Indian after all. Seriously, don’t put too much stock in the ethnicity estimate. As Blaine Bettinger has said, they’re good at the continent level, but not so much at anything more specific than that. I did the Ancestry DNA test back in 2013. It took 2 years before close matches appeared. I’m an adoptee and had a match from a paternal uncle(!) and enough 3rd cousins to my maternal side to figure out who my birth mother was. I have now done my birth tree back into all native countries – with no brick walls! My goal was my own tree and not necessarily contacting my birth parents; however, a cousin of my birth mother did a test in 2017 and passed my contact information to her. We’ve had one lovely conversation but will probably not meet as the family is still unaware of me. Life changer! Recently, a 3rd cousin match came in for my mother-in-law’s test that had the correct surname for her great-grandmother, our brick wall. We had no records before her immigration from Germany and no siblings or parent information. After very helpful messages back and forth with the admin of the cousin’s test we determined that our brick walls were probably brother and sister. With good old fashioned genealogy research, I found both names leading to the same family in German parish records and knocked down the wall. We’re now back to the early 1700s with the line. Major win with DNA….AND…solid research and a sourced tree. I am a real newbie with DNA I admit. I recently subscribed to Ancestry (after having a free account for years). So, I just earned about a “match” — supposedly a 3rd or 4th cousin that is quite puzzling for me. Her grandfather is someone I think whose is a son of my grand-uncle, however, for whatever reasons I have not learned yet her grandfather is showing the names of other parents on his records like for birth, death and marriage. That is quite a lot of records. My grand-uncle is Michael Zagorsky and the supposed son had was named Michael Sherwood. I have newspaper accounts from the 1930s of my uncle and his wife visiting HIS son and Michael Sherwood is named as his son. Sadly, the person I have this match with doesn’t seem interested at all or even amused or curious. I have ordered the estate records for my grand-uncle (brother to my grandfather) and also there is a “PC” file for him at the Lorain County Probate Court where his wife is shown as a Plaintiff, his known daughter and her husband, and this Michael Sherwood and his wife are shown as defendants. Also, for my grand-uncle, his obituary does not include the name of the son Michael Sherwood he supposedly had. So, I ‘smell an adoption’ for Michael Sherwood, as a strong possibility. But, the last thing I expected was to have a DNA match as close as the one I apparently have with this grand-daughter who wrote and said she never even heard of Michael Zagorsky. So for me, DNA is bringing unexpected relationship mysteries to my doorstep! As an African American with very little of a paper trail, it was exciting to find DNA matches of cousins we had no other way of knowing. Working together with my 4th cousins, we were able to put the pieces of our family back together which had been ripped apart due to slavery. I tested with FTDNA and found the ethnicity estimates we’re pretty closely in line with my traditional research. However, there weren’t terribly many cousin matches, and I was having a hard time figuring out how to tell which matches were on my mother’s vs father’s side. So I asked my parents if they would be willing to let me have them tested. It turned out that only one other relatives had tested on Dad’s side, and he is the son of one of Dad’s first cousins. So DNA matching hasn’t helped much with cousin matches on that side. I have uploaded my DNA results to GEDMATCH, just not my parents’ since I don’t have their permission for that. We’re just dipping a toe in with a relatively small starting group of relatives who tested last autumn and hoping to expand that as we go along. So far we’ve had a ton of fun, though we are aware of some of the weird and whacky unpredictable things you mentioned already. For example, my hubby identifies Franco-Italian (in that his parents are French and Italian and he was born in France). When we got his ethnicity results, we suddenly had a pocket of Brazilian/South American popping up. That would have thrown us for a real loop if we hadn’t already spotted that there is a family (frustratingly we can’t find the link to just yet as it’s beyond our brick wall) with the same surname as his main paternal line who emigrate about 250 years ago from the same area of Italy as his family. – We’re assuming then that suggests there’s a tie between the two family branches and it just happened to show since people out there who identify Brazilian now (as in born there etc) happen to share some DNA with his lines. The other one that’s fascinating is that we’ve a set of identical twins on one of my branches. These two sisters were completely identical (to the point only a handful of family members can tell them apart and it’s a very subtle difference), and they had two daughters each. One of those four daughters, my Mum is among our testing group and among the grandchildren, we have two of us granddaughters tested with results for at least one more to follow we hope. Given that our grandmothers were identical, we came into this anticipating that the system might actually think that we second-cousins were actually first cousins (given that theoretically our mothers, who are legal first cousins might turn out to be genetic half-siblings), but curiously, so far it has us placed just right – as unequivocal second-cousins. It’s seriously fascinating stuff. Obviously you need to be ready for any answer at all, but once you are, it’s just so much fun and has really enhanced and revived the enjoyment for our genealogy even more. This helps me understand why my sister discovered an Irish-Am relative in Texas who was said to by 3rd or 4th cousin with a high degree of confidence while I see the same relative as 5th to 8th cousin with only moderate confidence on the part of Ancestry.com. Is it safe to assume in such cases that the closest reading is also the most accurate, that my sister’s reflects reality better than mine? Logic would seem to dictate that conclusion. The ranges for estimated relationships overlap. It could be that your sister inherited an abnormally large percentage or your inherited an abnormally low percentage to match with that person. This is a great article. I have had all the experiences Amy pointed out. I have not been able to use the DNA so far to get through any brick walls yet though. Early on, I did try to contact ‘close’ matches on ancestry, with little success. But now with over 1000+ 4th cousins or closer showing, it’s overwhelming, to much info is as hard as too little. I used to joke that I must be related to half of French-speaking Canada, with several generations of what today would be huge families. Now it’s looking like it might be true. One other point I’d like to make is that Canada, like the US, has had a lot of immigration so that may account for some of the small percentages in the dna. So the fact that you haven’t come across an ancestor from that region, it may be that they were ‘here’ for a few generations, and you haven’t gotten back far enough with research to find the people who actually immigrated. I’m not quite sure I follow. How did two possible matches come up if they didn’t do the DNA test? The DNA matches on Ancestry show matches based on DNA. Only after there is a DNA match does Ancestry go and try to find possible matches in the trees for those people. Courses for horses I guess, but until people realize that advertising is to sell a product and cant possibly deliver to everyone what their special dream is, without some self directed learning and research from them, that even then, you don’t always acquire your hearts desire, but you will have an added bonus of learning an awful lot along the way and at least keep your brain active in a positive way. 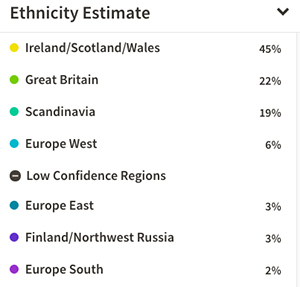 I recently took a DNA test and really didn’t expect any surprises. My strongest match appears to be a first cousin once removed that I didn’t know about. After looking at my match”s tree, it appears that he does not know who is biological grandfather is. I am pretty sure I know who this person is, my uncle (Mom’s brother) who is 85 years old. This match’s biological father (my 1st cousin) has passed away. I have no idea if my Uncle knew he had another son out there. This match does not indicate he is looking for a biological grandfather, but he is looking for something because his sister also took a DNA test and she is my 3rd highest match. My question is do I share all the information that I have. I don’t think this person realizes how closely related we are and I do not know how my 85 yr old Uncle would react and if I should lead this person to him. He is however his grandfather. Any advise would be greatly appreciated. DNA testing is very much a Pandora’s box. However, without it, I wouldn’t have discovered or been able to solve 3 non-paternity events in my family. Thanks for reminding us all about the benefits and potential impacts DNA testing can have on a person and their family. I have had very good luck with my DNA matches. Multiple people have responded to me and we have been able to figure out our common ancestor and share information. But my two favorites were finding 2 siblings who are my half-first cousins. I never knew that my dad had a half brother and don’t know if he did. His mother left the family and obviously found a new man! My father’s been deceased for decades so I will never know if he knew about it. But I have real love for my half cousin. I haven’t communicated with her brother but one day I hope to meet both of them. The other favorite is a second cousin once removed. It proves what you say about siblings having very different DNA. My sister and I both did the test (I am the administrator for both accounts). She was contacted by someone asking if she knew anything about a certain person. She only did the test for the geographical DNA part not the connection with relatives part. I responded to the man and we have been in close contact since, working on finding more generations of our ancestors. Oddly, he would have NEVER contacted me! He shows up on page 1 of my sisters matches and page 22 on mine! (50 to a page). He and I have very little matching DNA, while he and my sister have a lot. My dad was Italian, with Italian parents who came from the same place in Italy (Bobbio) and yet i have no Italian In me or my brother! Do the circles on Ancestry just not go far enough or do I have another Problem? thanks, love your site! Some great salient points about DNA. I feel not enough prep is given to what one may find as “surprizes”, which could be potential heart breakers for the tester and or connections. It is quite concerning that as we test people do not think about this. It is on the other hand an exciting part of science to be part of. Wouldn’t it be interesting to see the results in 100 years. My DNA surprized me, in a good way. I am British born & bred, I found a cousin here in the DC area. She is more British than I am LOL. My ethnicity is 42% British, 22% Irish/Scots/Wales (I know this line), 20% Scandinavian. So all you Americans this is a great example of that mystery Nordic ancestry. I was born in Co. Durham, with family centuries old from Durham, Northumberland & Yorkshire. Which is where “Dane Law” existed, was I surprized? Yes, but in a good way. I have so far been able to verify lines I knew little about by linking with some long lost cousins. I find this exciting. A great verification of both of our research. I recently found a second cousin who is in his 70s. Turns out his mother, age 104, is still alive. She and I have been emailing (yep at 104 she emails). It’s been great fun! And as far as siblings are considered, my eldest sister and I have definite variations in DNA – same regions but different percentages, whereas her daughter and I have much closer DNA matches. Very strange. My sister is dead so I asked my niece, her daughter to take the DNA test. She did and it opened up a hornet’s nest. She found a half sibling that she didn’t know that she had. He was adopted but knew his mother which was not the same as my sister. Hmmm! We are now in search of his and her father. You definitely need to be ready for those surprises. She thought she knew but I knew he wasn’t her father. I wish I hadn’t given her the DNA kit. It is interesting from my point of view because, up to now, my family tree has been very boring. I attended a local DNA gathering and have found very interesting things that you can do with the results. The lady who hosted the meeting has finished her Tree and is now on to a new project of helping adoptees find their parents. So far, besides me, only my mom and my daughter have done this. Pretty much all of mine was reasonable when compared to my research. The two mild surprises were that I have more Irish than anything else – I only have one great-great-grandmother (and her line, of course) who I know for certain was from Ireland – and the other was that I have a nominal (less than 1%) from the Iberian Peninsula, which was really out there. I’m guessing, since my mom did not have any of that, it must come from my dad. My daughter had a surprise, too, in that a few percentage points of hers was from Japan. I would have loved to have my dad do this, too (as well as my two siblings, but that’s probably out of the question), but he passed away a couple of years ago. Do they have a DNA kit that would work on his hair? To my knowledge, there isn’t a test (yet) that we can use with hair for genetic genealogy purposes. Took the LivingDNA mTdna test, have results. It returned Haplogroup V, stating I’m 42% Saami. Had to look that up as I’ve never heard of it. Laplander?? My maternal grandmother was born in southern Italy. I have her birth record. Is this test just so broad or the company’s results so new that it doesn’t make sense? I’m not DNA literate so maybe that explains it? I have a question. I don’t know much about the DNA results and how to interpret them properly . My father had his testing and I am on the account because I am the one who does all of the family research and history, but I don’t know where it is on the DNA page that you see actual ancestors whom are confirmed by the DNA. Any tips? Or guidance? I see the other people who he shares matches with, but where are the DNA confirmed ancestors? And, at the bottom of the page where you can see your story on the time line and it shows ancestors on the dates, are those ancestors confirmed by DNA? I assumed that they are since it only shows a small percentage of ancestors, in comparison to the number in the tree. I would love to be able to say who we are confirmed matches to! A few of those matches are actually the most important ancestors we want to confirm. Thanks for the help! Have heard that insurance companies can use the DNA results to raise rates based on the folks who have genetic results indicating possible future health issues. 23 and me was mentioned today related to a health issue possibility. That is one reason that some folks are hesitant on submitting their DNA. Ancestry DNA (my sister) and 23and Me (me) through MyHeritage correctly matched my sister and me as identical twins. ( We are identical triplets, but #3 hasn’t be tested). This has two takeaways, in my opinion: 1) DNA works and 2) more matches are made when all the DNA companies play in the same sandbox! 2) My Minor Scandinavian DNA probably came down through the societies of Great Britain. 3) I didn’t get all the DNA from ALL my ancestors. My brother still carries Neanderthal but I have Native American! Recently a male in our active surname project tested through Y-SEQ, since our treasury could not support FTdna testing at this time. We sought his results – hoping, and expecting they would match other tested males in the surname project, thus to confirm another line in the family where the paper trail had turned cold for many years. Murphy’s Law! His results were not even in a close range. Now we are looking for another male in that line to test – with still a question should we use FTd na or Y-SEQ? Our project does not have one indiviudal with both testing experiences and I am inquiring if any other projects have such comparisons? Then today I discovered the individual tested has some physical and mental compromises. I also question what the impact of these would be in test results? Could that throw him out of the surname project on its own merit? My Ancestry.com DNA test mostly matches my paper research, especially on my Scandinavian, as it said 38% and I am almost exactly 38% on paper. However, I am probably over a quarter British, except it says I have only 2% Great Britain, and then 21% Irish, and 34% Western European, however, that can easily be switched back and forth, as I also have Dutch, Swiss and German ancestry. On FTDNA it said I was 48% British, and then 42% Scandinavian and 0% Western European. So clearly all that European testing sites are just mixing us around and can be shown to be drastically different, depending on the testing company. Both tests showed high amounts of Iberian, 3% & 6%, and not sure where that came from, as I don’t know any Spanish or Portuguese ancestry, but the big surprise was my 1% Melanesian, which I also got on FTDNA, which it called, Oceania. And all my family on one side got it too, ranging between <1%-2%. For the first couple years, we all remained completely stumped since it said there's no admixture, and we were searching for Melanesian ancestors, to no avail… But then that study came out in July 2015 saying Native Americans have Melanesian connections. We didn't get any Native American, which we had suspected we would, since I have a third or fourth great grandmother who we believed to be Native American, but then just pushed the idea aside until we saw that study. Now I am convinced that the Native American is somehow showing up as Melanesian and Oceania (although the study connected them to South American native populations, not North American, which I think is not entirely accurate, or just not definitively established yet). Also, some calculators on Gedmatch does show that I have Native American, so it is there. All I know is, is this is all very thought provoking to say the least… Great article! My brother had his dna tested and was contacted by a man saying he is his brother. Our father and his brother ( who could have fathered the child) are both deceased. Is there a way to determine which brother fathered this child? Would having my dna tested make results more conclusive? My brother and I share the same mother and father. This is causing a lot of family strife as there was never any hint of infidelity during my parents 50 year marriage and this claim has dampened our memories and has deeply hurt my mother. Hi, Nan. First, I would say look more closely at your brother’s results compared to this man’s results (ideally on GEDmatch). Also, it’s important to note that they wouldn’t be brothers; if they only share a father, they would be half-brothers. That makes a big difference genetically. How old is this man? Could he have been born before your parents married? I just got my DNA back. It shows me as 48% E. Europe, 42% Scandinavian and 10% British. As far as I know it should be E. Europe and W. Europe. My mom is E. Europe and my dad and ancestors are W. Europe. We all come from Germany. My son had his DNA done and it showed E. and W. Europe and makes sense. Mine doesn’t. It is high on the Scandinavian side if it is an ancestor down the blood lines. Can you perhaps shed some light for me? My theory would be that my dad isn’t my dad? Ethnicity estimates are just that — an estimate. It’s estimating your origins from 1000s of years ago. Do not use them to prove or disprove relationships between people. Your estimate would seem to fit parents. Your son’s estimate is going to be different than yours — his DNA also includes that of his father. My mom recently took a DNA test as she has always been skeptical that the woman who raised her, was not her real mother, although her birth certificate states so. The DNA company that did the testing immediately found a match with her deceased father, and all the deceased siblings, but none of the living siblings, other than a living sister that had also submitted a DNA sample. It recognizes this sister as a half-sister. It has not matched the deceased “mother”. Rather it labels her as step-mother. Does this information pull from vital records somewhere? Is there a dna sample of the deceased “mother” that is not publicly available, but dna testing companies have access to that they label step-mother? To add one more level of confusion – it does not suggest another person as mother. Could that mean her birth mother could still be alive? (I ask this because the dna sample only suggested relatives of the deceased, and the one living sister that provided dna sample. None of the other family members have been recognized. ) So interested to find out more info. Maybe I have a grandmother that is out there! We need to find her if so!! Before I answer, I want to make sure we’re on the same page. What company did your mother test with? Hi! I recently tested through Ancestry.com in hopes of finding my unknown father. I haven’t found him as of yet, but I have a question about cousins. I discovered a large branch of 4th and more distant cousins who are all DNA related to me and to each other, yet the great majority share NONE of my ethnicity estimates. I know estimates are just that, a general area guess – but wouldn’t more of us match estimates than not match? I don’t know our common ancestors because I suspect they are all on my unknown dad’s side, and I’m working backwards through cousins to try and find him. Any insight is helpful. Thank you! The ethnicity estimate really isn’t going to help, especially the further back you go. (Considering the variation even between siblings, it’s pretty unlikely to find a good pattern back to 4th cousins.) With 4th cousins, you share a set of 3rd-great-grandparents — that’s one couple out of the 16 couples of 3rd-great-grandparents, which is a lot to narrow down. Has your mom or anyone on your mom’s side tested? Compare their results to yours, focusing on the closest generations (3rd cousins and closer, if any). That will help you narrow down which ones are more likely on your father’s side. Good luck and best wishes for a successful search. My paternal grandmother is German, both parents from Germany. I have no German in my DNA Estimate. Her side of the family has issues with heart disease. Does this mean I won’t inherit the increased risk of heart disease? I don’t think it means that. The ethnicity estimate is based on reference panels of people and basically tries to estimate where your ancestors were from hundreds and hundreds of years ago. It would not be the same thing as looking at your DNA for predisposition of any specific disease. Hi maybe someone can answer this question. My biological father is claiming his DNA results said 45% native American, my DNA results say zero. Is this even possible? Hi, I found this post very interesting and elucidating! I have a question. My husband and I and our daughter all tested using the same company. The results all made sense except my daughter showed a tiny (.1%) Subsaharan African result which neither I nor my husband showed. My brother, however, does have this trait. My husband and I tested a year or so ago and my daughter just recently. Could this be due to when she was tested? Or what? Thank you for your thoughts! Two things could be going on. If you tested at AncestryDNA, are all of you looking at the latest updated ethnicity estimates? They changed their algorithm for calculating those. The other thing that could be going on is that you and your husband each have just under the threshold for it appearing in the estimate, but your daughter inherited it from both of you and that combination is just enough to put her over that threshold. Remember, too, that it is only an estimate and such a tiny amount really does not mean anything. Thanks, I realized after I wrote this that maybe our minuscule amounts came together in her. We did our DNA on 23 and me. Thanks for the quick response!